One hundred and ten; one hundred and eleven, ouch! One hundred and twelve, damn! For the third torrid day in succession I was exasperatedly discovering and extracting nails of every tortured shape and unexpected size from the wooden walls of my cottage kitchen. My tool, which I had previously understood to be a claw-headed hammer, had been bestowed upon me by Ruari, the Imperiously obliging brother of my former landlady. He however had referred to it more colourfully as a ‘cloven-footed’ hammer. It was a typically Hebridean tool with a thick, rough handle and a rusty head so loose on the shaft that it was a toss-up each time whether the nail would be prised out of the wall, or whether the ‘cloven-foot’ would remain poised vacillatingly on the firmly embedded nail while I reeled back, brandishing the handle and recovering myself just in time to receive a blow of acknowledgement from the descending head. For the umpteenth lime I stopped to massage tingling elbows with grazed fingers and swore as I Jammed the head savagely back on to the shaft. 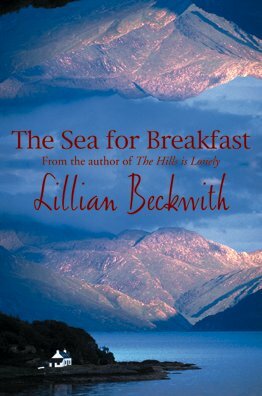 For the umpteenth lime I wished, rather half-heartedly, that the little village of Bruach were not set amidst such glorious Isolation and, most whole-heartedly, that the terrain were less abundantly provided with handy-sized stones. As it Was, even this poor makeshift had necessitated some diligent seeking. Still, I comforted myself as I doggedly counted my successes (simply so as to prove just how many nails one may expect to find in an old croft kitchen), the unpredictability of proceedings did serve to enliven a task that otherwise might have been as soporific as counting sheep. ‘It still puzzles me why there should have been such a glut of nails all ready to hand, here in Bruach of all places,’ I said. Thus was the plethora of nails explained. Now I should like to explain why I, during three picnic-perfect days of early June when cuckoos were yodelling across the sun-soaked moors and bluebells were pealing wildly into bloom, should be gloomily and resentfully pulling all Hamish’s men’s nails out again. When her nephew in Glasgow had been involved in an accident which was supposed to have affected his health generally, Morag, the crofter landlady from whom I had rented half a house since my arrival in Bruach three years previously, had decided that he and his wife, who was herself a semi-invalid, should come to live with her on the croft where she could keep a strict eye on the two of them. She also, she said, intended to keep a strict eye on their precocious lithe daughter, a design which I suspected privately, having met the child, would result in her having one more subject for her tyranny, for Morag, like all Gaels, loved to have a child about the house to indulge. Naturally the new arrangement meant that Morag and I, to our mutual regret, must part company, and I was faced with the alternative of returning South or looking for other accommodation locally. After three years of crofting life and with ill health only a memory, I found I did not relish the idea of returning to the noisy clutter of life in England where nowadays it seems there is too much prosperity for real happiness; too much hurry for humour. In Bruach there was prosperity enough for most things and time mattered lithe. My days were pleasant and full and the nights brought unbroken sleep so that even dreams had the continuity of one long novel in contrast to the disjointedness of a book of short stories. And undoubtedly I had grown fond of Bruach and its inhabitants, for the Gaels of the Hebrides are indeed a happy race. Even their language is happy; listening to the Gaelic is like listening to a series of chuckles; there is always a lilt even in harangue; often a smile in a scold. I might be shocked at some of the events of the day, but at night I could chuckle myself to sleep over them. I wanted to stay in Bruach, so I looked for a place of my own. There were two empty cottages not far from the village. ‘ugh-na-Craig’ (House on the Rock), to the north, was situated close to the burial ground, the other, with an unpronounceable name — the nearest I could get to it was ‘Tigh-na-Mushroomac’ — to the south, adjoined the cleg-infested moor. Faced with a choice between clegs and corpses I chose the clegs and was immensely relieved I had done so when I later heard Erchy, the poacher, telling someone: ‘Ach, the grave will no take long to dig. It’s no a County Council burial ground so you’ll not have to go more than two feet. It’s no trouble at all.’ The County apparently insisted on four feet. The cottage of ‘Tigh-na-Mushroomac’ had been empty when I had first arrived in Bruach but the fact that it might be for sale did not emerge until after I had announced my intention of settling. The Bruachites are averse to putting their property on the open market but like to be wooed into graciously permitting you to buy provided you can convince them of your need and of your bank balance. Calum, one of Hamish’s surviving sons and the owner of the cottage, lived in Glasgow, so I lost no time in contacting him and in visiting the local policeman in whose charge the key had been left. lorry into a can. When he had transferred the petrol to the tank of his own car, the policeman generously offered me a lift borne. Morag had been away in Glasgow at the time and as the policeman had yet to finish the enquiries about poaching he was engaged on making in the village, I invited him in for a meal. Earlier in the day Erchy had handed me a parcel of fish which he had said offhandedly were mackerel. I cooked one for the policeman. Before the meal he had seemed much dispirited by the results of his day’s work, but after the fish and several cups of tea his geniality was restored. Indeed he became quite jovial. He complimented me on my cooking and when he got up to go he impressed upon me that I must be very sure to thank Erchy for him and tell him that he, the policeman, had ‘never tasted mackerel like them’. I assured him I would do so. ‘He said what?’ demanded Erchy when I had innocently kept my promise. ‘He asked me to tell you he’d never tasted mackerel so good,’ I repeated. At that stage of my Initiation I was incapable of distinguishing a legal fish from an illegal one, having hitherto relied on my fishmonger to identify my fish for me. Full of contrition, I admitted my defections. Since that episode one of the policeman’s eyes had always drooped into an indubitable wink whenever we had met and now that I approached him with a request for the key of ‘Tigh-na-Mushroomac’ he appeared to find it excessively funny. ‘You’re thinkin’ of buyin’ "Tigh-na-Mushroomac", are you? Well, right enough I did have the key once but I’ve lost it now. Indeed, when the door was blown in by the storm a year or two back the only way I could keep it shut again was to ram a big stone behind it and tie a good piece of string to it. You’ll see the string under the door. You’ll pull it towards you when you come out and it rolls and jams the door. Keeps it closed better than the old lock that was on it before, I’m tellin’ you.’ He was so taken with his contrivance that it seemed a pity to draw his attention to the fact that I must first get into the cottage. ‘Ach, you’ll give it a good shove just. Mind now, it’ll need to be a right good one, for it’s a biggish stone. You’d best get one of the lads to do it for you,’ he added on second thoughts. It was a grey day with sneaky little flurries of wind which dashed us sporadically with chilly drops of rain when Morag and I went to pay our first visit of inspection. Morag had enlisted for me the help of Peter, the son of Sheena, who worked the croft adjoining ‘Tigh-na-Mushroomac’. Peter was a doughty, chrysanthemum-headed youth whose shape suggested that his mother had placed a heavy weight on his head in childhood to make him grow broad rather than long. When he smiled his wide gummy smile it looked as though someone had cut his throat. When he laughed he looked as though he was going to come to pieces. He now strode beside us along the shingle track, his shoulder hunched as though in eager preparation for the assault on the door. I told her, patiently, for I had told her many times, that I did not mind the solitude. Built of grey stone, ‘Tigh-na-Mushroomac’ squatted in smug solitude at the extreme tip of Bruach bay, its two lower windows like dark secrets half buried in the three-foot thick walls. From the sloping felt roof two tiny dormer windows peeped inquisitively at the sea which at high tide skirmished no more than twenty yards away. In fact it would not have needed an unduly exaggerated fishing rod to have enabled one to lean from one’s bedroom window and draw upon the sea for breakfast each morning. Behind the cottage was the neglected croft which merged Into the wildness of the moors and they in their turn stretched to prostrate themselves at the feet of the lonely hills. It would have been cruel to have insisted to Morag that its distance from the rest of the houses was, for me, one of ‘Tigh-na-Mushroomac’s’ chief attractions. The Gaels as a general rule seem to have no desire for privacy, building their houses as close to one another as croft boundaries will permit. ‘Alone-ness’ is a state they cannot endure and ‘any company is better than no company’ is a maxim that is accepted literally whether the company be that of an idiot or a corpse. Not desiring it for themselves, they can neither understand nor really believe in the desire of other people for privacy and so genuinely anxious are they that you should not be lonely they continually seek you out of your cherished solitude. Outside the cottage Peter turned on us his cut-throat grin and poised himself ready for action. ‘All right now, Peter,’ said Morag. ‘I’ll lift the sneck.’ Peter rammed his shoulder fiercely into the door; there was a short, sharp protest from the rusty hinges as they parted company with the wood; the door fell inwards, see-sawed across the big stone so thoughtfully provided by the policeman, and flung Peter into the farthest corner of the porch. Bewilderedly Peter picked himself up, revealing that he now had two long, gaping splits in the seat of his trousers. ‘Peter!’ upbraided Morag, blushing for his predicament. ‘You’ve broken your trousers!’ Peter looked somewhat puzzled and felt each of his limbs in turn but thus reassured he became more concerned with locating a splinter which, he said, had ‘come out and lost itself on him’. I diplomatically went upstairs and minutes later heard his exclamations of relief and then his dismissal by Morag. Through a bedroom window I caught sight of his stocky figure fleeing homewards across the moors, presumably minus his splinter and with his rear parts effectively camouflaged by Morag’s best floral silk apron which she had fortunately been wearing beneath her coat. My landlady joined me upstairs. Inside, ‘Tigh-na-Mushroomac’ was a replica of all the two-storeyed croft cottages I had seen, there being a kitchen leading off one side of the entrance porch and ‘the room’ off the other. In Bruach this second room was never known as anything but ‘the room’, presumably because no one was really sure of its intended purpose. Morag, In her original letter to me had described hers as ‘the room that wasn’t a kitchen’. Usually the anonymous room was necessary as a bedroom and indeed in many of the single-storeyed croft houses these two rooms, with a recessed bed in the kitchen, comprised the whole of the living accommod~1o1t Yet in such limited space large families were reared and a galaxy of scholars produced. It was no unusual sight to see a university student at his books by the light of a candle in a corner of the small kitchen, while all around him the neighbours jostled and gossiped, argued and sang. Neither was It unusual in due course to see that student’s name high in the list of honours graduates. ‘Tigh-na-Mushroomac’ provided ample accommodation for a spinster. It had two rooms upstairs and, though these were of attic proportions with the windows at floor level so that one had to sit down on the floor to look out through them, they were habitable. The cottage needed a certain amount of repair; first on the list was a new front door. But its walls and its roof were sound. I liked what I saw. It seemed to me that everyone in the village took a hand in the ensuing transaction, and when it came to bargaining they ranged themselves with complete affability either on the side of Calum or myself or, with true Gaelic adroitness on the side of both parties. With so many cooks the broth should have been irrevocably spoiled but eventually everything was settled to everyone’s complete satisfaction and I became the delighted owner of a cottage and croft. As I could afford only the minimum number of alterations to begin with, I decided that priority must be given to getting larger windows put in the kitchen and ‘the room’. I wanted snugness but not permanent twilight in my new home. ‘But, mo ghaoil, think how they’ll show up the dust,’ warned Sheena, who had lived all her life in a dark, thatched cottage and whose only use for a duster was to wipe over a chair whenever a visitor accepted the hospitality of her kitchen; a necessary precaution, considering a hen had most likely been the former occupant. Erchy, with whom I consulted, startled me by admitting that he ‘quite liked a bit of work now and then just as a change when he could spare the time’, and by promptly agreeing to undertake the task. True to his word he was soon at work taking out the old frames and enlarging the window space. When he had got thus far there was a lull in his activities. ‘That’s not his girl friend,’ contradicted Morag indignantly. But the return of Erchy’s proxy girl Mend to Glasgow did not, unfortunately, result in a resumption of activity by Erchy. A wedding was announced at which he was to act as best man. Erchy got drunk in anticipation, drunk for the solemnization and drunk again in recollection. A week later there was a dance and Erchy got drunk in preparation. He reckoned he’d never have the courage to ask a girl to dance with him if he was sober. A cattle sale followed closely on the heels of the dance and Erchy’s beasts made the highest prices; he stayed drunk for nearly a week! By this lime winter was upon us and Noachian deluges, lashed by fierce gales, washed the exposed room inside and out. Hailstones pitted the wood-lined walls; spiders’ webs were torn from their anchorages; salt spray filmed the floors. It was on a particularly savage day, with a full-blooded gale inverting the waterfalls over the cliffs and sending them billowing skywards, that I went over to the cottage to reassure myself that it was still there. Hungry green breakers were hurling themselves at the shingle shore, flinging spume high over the roof of ‘Tigh-na-Mushroomac’. The wind seemed to have chosen the poor little collage as its main target and I was buffeted towards it. Inside I found Erchy frenziedly prising out the small window from the back of the kitchen. ‘My, but it’s coarse, coarse weather,’ he announced. ‘It’s needed now if ever it was,’ I retorted savagely. I watched him dubiously, slowly becoming aware that not only was the floor pulsing as though there were an engine beneath my feet, but that interspersed with the noise of the storm were strained creakings and groanings from the timbers of the ceiling. ‘This floor’s quaking,’ I said tensely. ‘You are yourself too, I dare say,’ retorted Erchy unrelentingly. ‘And if you had this amount of wind under your beams you’d be quaking a lot worse.’ I subsided into the most sheltered corner of the kitchen. ‘Hear that now?’ Erchy continued as an ominous thudding became audible from somewhere above. I listened; it sounded as though the ceiling joists were stamping against the walls in their impatience to be gone. ‘That should stop when I get this clear.’ He wrenched the window free and lowered it to the comparative shelter of the ground outside. ‘Now listen!’ he commanded, but though I listened obediently I was not much the wiser. The whole cottage seemed to be threatening to take wing at any moment. ‘Aye, you’d have lost your roof all right tonight, I doubt,’ said Erchy with great satisfaction. Through interminable weeks ‘Tigh-na-Mushroomac’ waited, naked and exposed, for the new door and windows to arrive. Glass, I was told, was scarce and when at last it was obtainable the mid-winter gales followed, one after another, so that the carrier complained it was impossible for him to get across to the mainland. A brief respite from the gales brought the snow, which blocked the road. Blessedly came the thaw — which washed the road away. A day of calm dawned; there was no snow and the road had been repaired. With bated breath I telephoned the carrier. Next week brought a repetition of the previous delays but when the tide had crept round again to a suitable state and miraculously it coincided with a period of calm I again phoned the carrier. Every time I visited my refrigerated little cottage I became a little more despondent. Every night I prayed the Almighty for patience. But the day did come when the elements acted in unison and nothing ‘broke’ and the carrier’s lorry came romping along the track to the collage to deliver two beautiful new windows and one front door. The front door was not new. There was a little note from the merchant explaining that he had not been able to procure a new door of the right size so he had taken the liberty of sending this one which had been removed from the local police station. He hoped I wouldn’t mind! The carrier had also brought cans of paint, rolls of paper and turps, so whilst Erchy set to work installing the windows, I began to paper ‘the room’. The original colour of the walls of ‘the room’ was really indescribable and the nearest I came to identifying it was in the recollection of a time when Morag, suspecting her calf was sick, was debating with me whether or not she should send for the vet. Once the windows had been put in I installed a camp bed and a couple of borrowed chairs and one or two other essentials and moved into the cottage. A few nights afterwards four of the girls from the village turned up to inspect progress. My spirits sank a lithe, for where the girls went soon the men would follow and then there would be a ceilidh and I would have to stop work and provide tea. I told them I was just planning to start papering upstairs. ‘We’ll give you a hand,’ they volunteered. My spirits sank lower. As I expected, it was not long before some of the lads were bursting in, completely sure of their welcome and, giving up any thought of doing more work, I prepared to settle down for an evening’s cellidh, hoping the girls would forget theft offer of help. The prospect of a wasted evening was not nearly so discomposing as the prospect of having to accept their help with the decorating. ‘Come on,’ said Dollac, the village beauty, inexorably. ‘We’re all goin’ to help Miss Peckwitt paint and paper upstairs so she can have it all ready for a good ceilidh. Get the paint, you Ally. Is the paper cut? Those that can’t do paintin’ or paperin’ can do some scrapin’.’ Feebly I tried to dissuade them. ‘Now just you get on with finishing the room,’ they told me. I submitted to the juggernaut of their enthusiasm and when I had put the last few touches to ‘the room’, I carried water from the well and coaxed the stove into heating It. I found biscuits and collected odd cups and mugs, since my own crockery had not yet arrived. As I worked there came from above bursts of song, the banging of doors, clanging of paint cans, uninhibited shrieks, yells of tension, thudding of feet and generally such a hullabaloo that I doubted if ever I should be able to clean up their mess in anything short of a decade. ‘Tea!’ I called up the stairs and there was such an immediate scatteration that I fully expected a brace of paint cans to come hurtling down the stairs too. My helpers had enjoyed themselves immensely; that at least was obvious. Each one of them had a swipe of paint across a cheek, a decoration which Dollac dismissed as being the result of a game of ‘paint-brush tag’ — to see who would get the most paint on him. When they had finished their tea and biscuits they rampaged back upstairs to ‘finish things off’. I felt that the phrase would turn out to be most appropriate. I heated more water and washed the cups, envisaging myself having to take time off from cleaning up the farrago in order to go to the post office to phone for a large supply of paint remover and a repeat order for paint and wallpaper. It was the early hours of the morning before my helpers came trooping down the stairs again. They had cleaned the paint off their faces and I wondered vaguely bow and where. They had finished both bedrooms, they said and they were ‘beautiful just’, but they must have my promise not to go upstairs and look at them until after breakfast. They wouldn’t look so good until then, they explained, because there were still some wet patches; I must wait to inspect it until it was all properly dry. The promise was an easy one to make for I felt much too debilitated then to climb the stairs and face up to the chaos which I was certain would confront me. Yet, after breakfast, when I felt strong enough to bear the sight of it all, I went upstairs and found there was no chaos at all; I could not have hoped to have done the job nearly so well myself. The unused materials were stacked tidily in a corner, and paint splashes had been cleaned away. It was, as they had said, beautiful — beautiful just. But only Gaels, I believe, could have accomplished such a splendid job and yet have derived so much fun and frolic from doing it. The following night the volunteers turned up again but now there remained only the kitchen to be decorated and as I insisted that all the nails should come out first and as no more tools were procurable the evening’s work degenerated into a cosy ceilidh. And that is why on this hot June day I came to be pulling out my one hundred and twenty-third nail when I heard the voice of Sheena, Peter’s mother, hailing me from the door. I gathered up my harvest of nails from a chair and pushed on the kettle. In Bruach no work was ever considered too pressing to neglect hospitality and the arrival of the most casual visitor automatically ensured the popping on of the kettle. ‘I’m not nearly so handy at pulling them out,’ I said ruefully. ‘Not a hundred and twenty-three times,’ I said. I surveyed my rusty harvest. I’d be dammed if any of them were going back in again, I decided, and between sips of tea Sheena sighed for my improvidence. ‘My, but your new windows are beautiful just,’ she enthused, slewing round her chair so that she could stare out at the sea. The windows had made an enormous difference to the cottage, giving a wide view of the bay which today was full of sunshine and silver-flecked water. On the shore, sandpipers scurried busily in the shingle and serenaded the quiescent ripples while thrift danced to the music of the sea. Above the outer islands comically shaped clouds, like assorted carnival hats, were strewn haphazardly across the sky. The black hills lay in a drugged haze, Garbh Bienn looking like an old man who has fallen peacefully asleep in his chair; the wisp of white cloud across its middle like the newspaper fallen from his face. Sheena had only been gone a few minutes when Morag arrived and we were soon joined by Erchy who had been painting his dinghy down on the shore. The kettle had to go on again. I begrudged no one tea and I had grown tolerant of time-wasting, but I was plagued by the fact that water for every purpose had to be carried from a well over a hundred yards away down on the shore, which meant that I had to struggle uphill with the full pails. It was aggravating to have to squelch about the croft in gumboots even during a prolonged thought and to realize that though there was an excess of water everywhere it was too undisciplined to be of use to me. I was ironically reminded of my own mother’s injunction, ‘Don’t leave the kettle boiling, wasting gas’; here I had to remind myself, ‘Don’t leave the kettle boiling, wasting water’. With so much cleaning to do the carrying of water was proving a strength-sapping business and I was very anxious to get the guttering of the cottage replaced so that I could have rainwater for household purposes. The guttering, along with a rainwater tank, had been on order for many weeks and Morag brought news of it now. ‘You’re not telling me that my rainwater tank is on its way at last, are you?’ 1 asked hopefully. ‘That will be a blessing,’ I said. However, as I pointed out, the new tank would not overcome the drinking water problem because I had discovered that when there was a combination of high tide and a strong wind the sea came into my well so that the water was decidedly brackish sometimes. ‘They didn’t go deep enough,’ put in Erchy, with a wink at me. ‘Indeed they did. He said there was water on our own Ruari’s croft at twenty feet and Ruari dug down until we could see only the cap of him just, sticking out of the top of the hole he’d made and still there was no water. Ach, I’m no believin’ in them fellows at all. Maybe they can find corpses but I doubt they canna’ find water.’ It struck me then as strange that the Bruachites, who genuinely believe in and often claim to be gifted with the second sight, should yet be so sceptical of water divining. I recollected that I had never heard of a Hebridean water diviner. ‘The wild water?’ I echoed. ‘For drinking?’ I grimaced, thinking of all the dear little birds I heard scratching and sliding on my roof every morning; of the starlings fumigating themselves around the chimney and the gulls daily parading the length of the ridging. Morag laughed. ‘You’ll soon get used to that, lassie,’ she predicted firmly. And she was right. She watched me take out the last half-score or so of nails, giving a grunt of ‘there now!’ at each success. ‘Anybody would think it was you doin’ the work,’ Erchy told her. ‘If you was half as good as the men who put in the nails you’d be after takin’ them out for Miss Peckwitt instead of sittin’ watchin’ her,’ she rebuked him. Erchy drained his cup. When Morag was on the defensive her tongue could become caustic and he was ready to flee from it. ‘That could be damty awkward sometimes, I doubt,’ he said as he disappeared homeward. Morag watched me fill a pail with hot water and pour in Some disinfectant. ‘What are you goin’ to name your cottage now that you have it ready?’ she asked, draining her fourth cup of tea. ‘Here, but you mustn’t call it that. Not on letters, anyway,’ Morag said with a gasp. ‘Indeed I don’t know,’ she lied firmly. ‘Erchy’s mother says to tell you she has a wee poc of fish put by for you when you’re passin’ that way,’ she continued hastily and made for the door. It was of little use pressing Morag further, that I knew, and I walked with her as far as Erchy’s, pondering on the meaning of ‘Tigh-na-Mushroomac’ and why it should be considered an unsuitable name to be put on letters. I recalled the excessive amusement of the policeman when be had learned I was thinking of buying the house and wondered if it had been caused in some measure by the unsuitability of the name. I knew that in the Gaelic ‘Tigh’ means ‘house’, but never having seen the spelling of the name I could not identify the rest as being any Gaelic words I knew. ‘How do you spell "Tigh-na-Mushroomac?" I persisted, after a hasty glance at the fish which I could now recognize as being nothing more illicit than mackerel. ‘Indeed, I don’t know,’ he replied with simulated apology. His evasion strengthened my determination to find out so I put the question to an old scholar who loved his language and who was patient with those who might wish to learn it. I thanked him and went again to Morag. She was washing dishes and when I told her why I had come she began scrutinizing each dish lingeringly to avoid meeting my eye. ‘Well, mo ghaoil,’ she began, with an embarrassed chuckle. ‘It was Hamish’s lads when they was younger. They wouldn’t come out once they were in... y’understand?’ She managed to give me an insinuating glance, and then plunged on with her story. It appeared that one or two of Hamish’s less tractable sons had developed a dislike for work and so evaded it by disappearing into the ‘wee hoosie’ in the back garden where, immune to the threats and cajolery of their parents, they had stayed for long periods reading books or papers. Hamish had at last become so incensed that he had one day taken the saw and sawn the traditional round hole into a rough square one. The simplicity of his strategy was rivalled only by its effectiveness and, after enforced experience, I have no hesitation in recommending this form of torture to anyone who is barbaric enough to be interested in such practices. Inevitably, Hamish’s family had come to be known in Bruach and beyond as the ‘square bums’ and their house as ‘the house of square bums’. Once acquainted with the story I lost no time in choosing for my cottage a name that I could unashamedly put on my letters. For the seat in the ‘wee hoosie’ I had already substituted one of more conventional shape.